Sometimes babies are born prematurely or unexpectedly unwell and require specialist care after birth. Our Newborn Intensive Care Unit (NICU) at Saint Mary’s, Oxford Road campus and Local Neonatal Unit at Wythenshawe Hospitals provide care for babies that are born prematurely from 23 weeks' gestation and above; have health problems that are picked up antenatally (before birth) and postnatally (after birth) or have been born unexpectedly unwell. Across the two sites we have 88 cots, and a dedicated multidisciplinary team which looks after over 1600 babies each year who require medical and surgical care. • Babies requiring surgical care. • Complex genetic and metabolic disorders. • Retinopathy of Prematurity (ROP) screening and treatment. As well as caring for babies in our local areas, we also care for babies that need our specialist care across Greater Manchester and beyond. Our aim on NICU is to provide high quality of individualised care to our babies and their families using the best available knowledge and resources. Our babies are cared for by an expert multi-disciplinary team in an environment that is supportive of the development of the important relationships between families and their baby. The unit values every member of staff and aids their development to ensure and promote effective and safe practice. 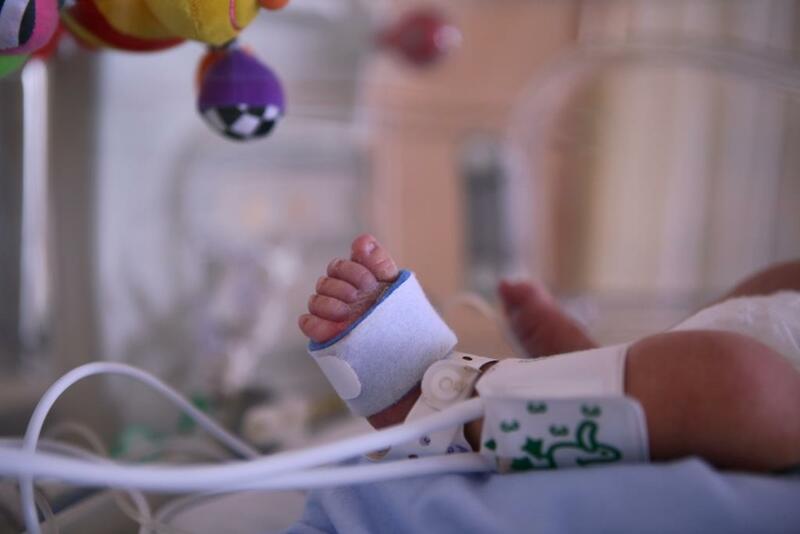 The care and treatment of the babies and their families is paramount and is the primary objective of the NICU. We aim to provide the best possible care in an environment that is appropriate for their medical, surgical, developmental and social needs. Babies and their families have every right to expect care from a highly trained and supervised multi-disciplinary team. We respect our parents’ views and wishes and we really encourage family centred care, providing information and guidance which meets their individual needs. We acknowledge the need for parents to be involved in their baby’s care and believe that this will be achieved by mutual trust and effective communication that maintains privacy, dignity and confidentiality. Fantastic care for our premature son on NICU for the past 2 weeks. Excellent clinical decision making, fantastic caring, empathetic staff, and so many people willing to go above and beyond the call of duty. Newborn Intensive Care (Ward 68) is based on the 2nd floor in Saint Mary’s Hospital. Each room has its own telephone number. Please ask the nursing staff for details. Louise Weaver-Lowe, Head of Nursing. We encourage you to visit your baby as frequently as possible and to stay as long as you are able to. Other relatives and friends that come to see your baby must be with you or they will not be allowed onto the Unit. Only two people at a time are allowed to visit your baby at the cot side (one parent and one visitor) as the rooms can get very busy.